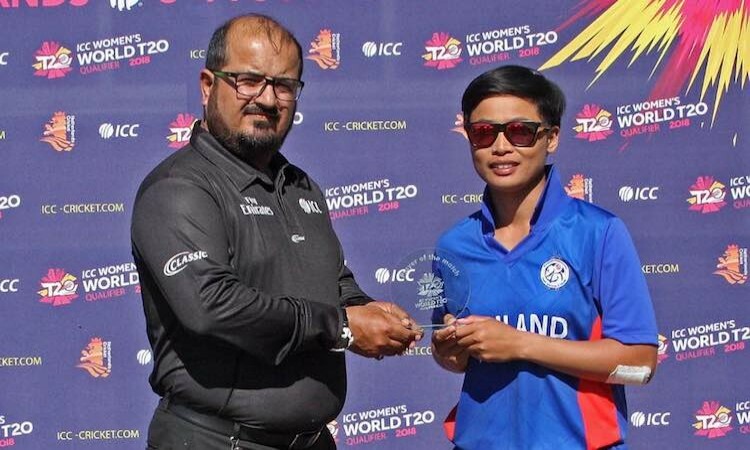 July 15 (CRICKETNMORE) - Thailand claimed fifth place thanks to runs from Nattakan Chantam (44) and Nattaya Boochatham (38) as they posted 113 for seven from their 20 overs against Uganda. The early wicket of Naruemoi Chaiwai had pegged them back but the innings from Chantam and Boochatam allowed them to take the game away from Uganda. The Ugandan chase was over almost before it had started as they were reduced to 2 for five as poor shot selection and poor running hampered their efforts to reach their target. There were three run outs in total in their innings with Chanida Sutthiruang claiming two early wickets. The top-scorer in the Ugandan innings was Stephani Nampiina who made 29 from 30 balls batting at seven. Uganda reached 79 for eight from their 20 overs as they lost by 34 runs.